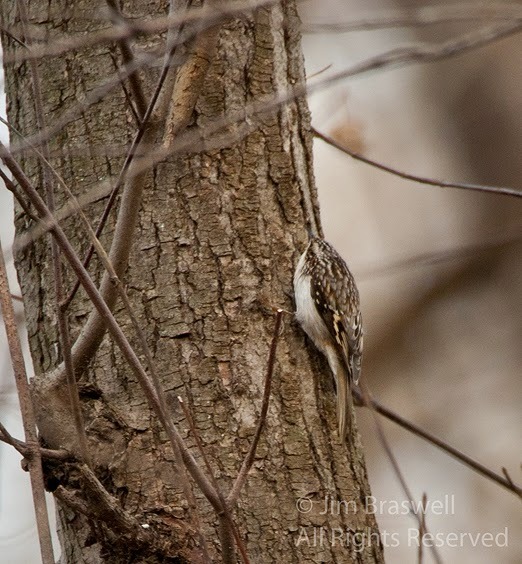 As winter approaches us in Missouri, I'm looking forward to one of my favorite wintering birds, the Brown Creeper (Certhia americana). If you've not seen this little gem, let me explain one of the traits of the Brown Creeper. 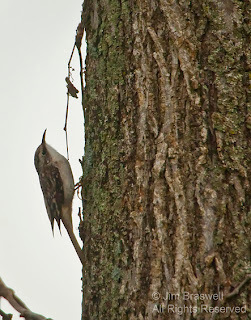 He feeds by creeping up the tree trunk, searching for insects as he goes. Reaching the top, he then drops down to the base of another tree and begins working his way up that one. At only 5" to 5 1/2" in length, the camouflaged Brown Creeper can be difficult to spot. Probably the best way to spot one is to watch the trees for movement. But don't startle it ... it may just flatten itself and remain motionless against the tree trunk, becoming even more inconspicuous! Here are a few images I've collected over the past couple of years. Can you find "Waldo" in this first image? So, if you're looking for a challenge this winter, check out the tree trunks for Brown Creepers! This post was authored by Jim Braswell. You can check out more of Jim's work at Show-Me Nature Photography, where he has some photo galleries and a nature blog. They do look and sound like a bit of a challenge! 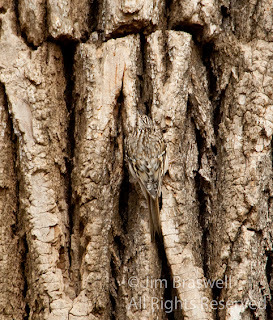 Brown Creepers are certainly camouflaged well! These little, busy birds are always fun to observe. Terrific photographs, Jim! 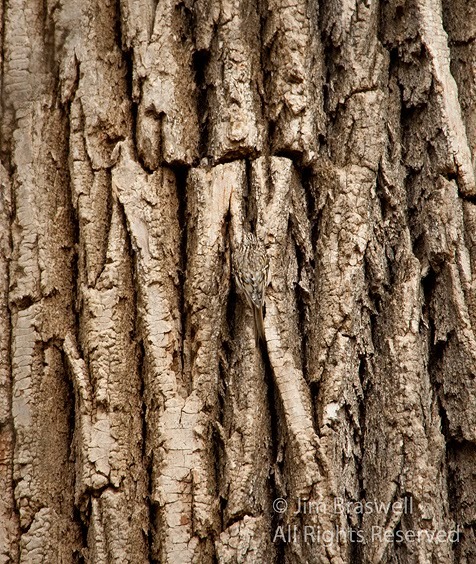 Perfect camouflaged.. Love this litte bird.. Cheers!! !..